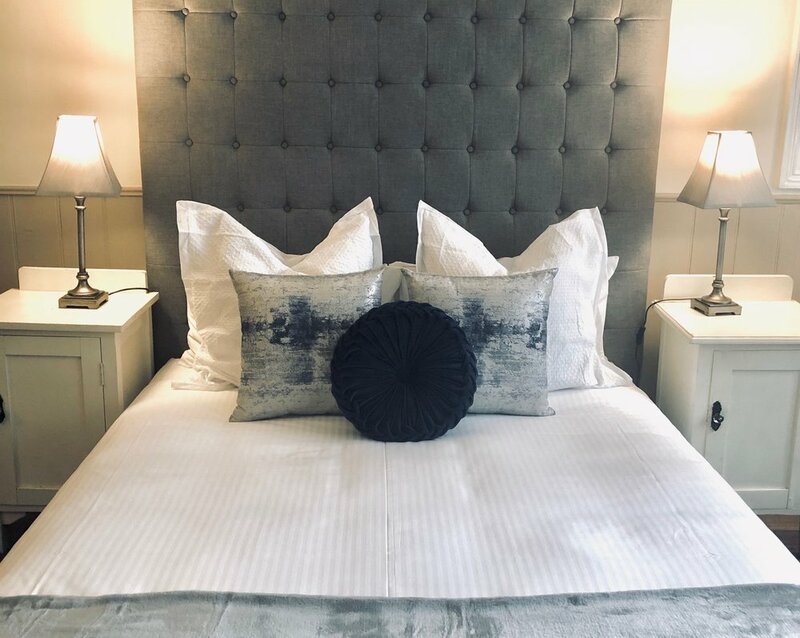 The Pines offers FIVE guest bedrooms each with an ensuite. 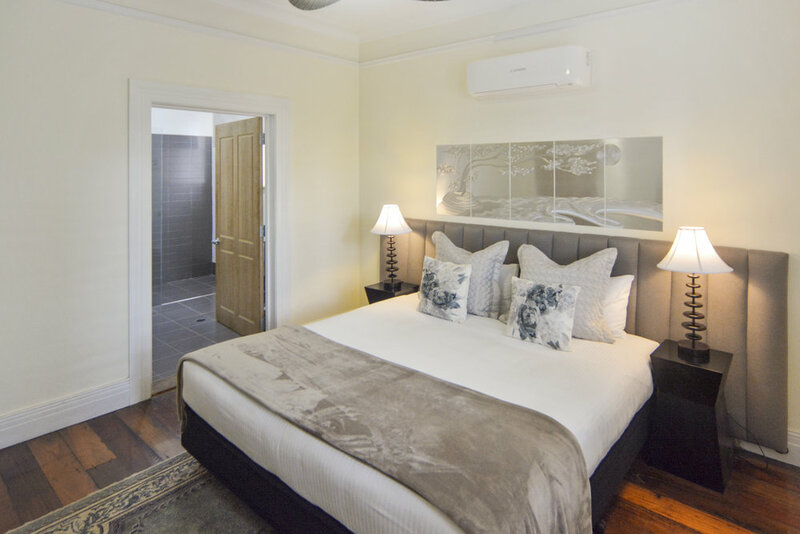 All rooms are beautifully appointed with luxury linen, South Pacific Soap Co. bathroom accessories, fireplaces, fans, free WIFI and flat screen LCD televisions which provides guests with a luxurious home away from home stay. An open casual living space is adjoined to the kitchen and dining area with French bay doors leading out to the large deck and landscaped garden. This is a perfect area for guests to eat their breakfast and enjoy the array of birdlife that inhabit the 100 year old peppercorn tree. This elegant suite features a King-sized bed and a full-size modern ensuite. 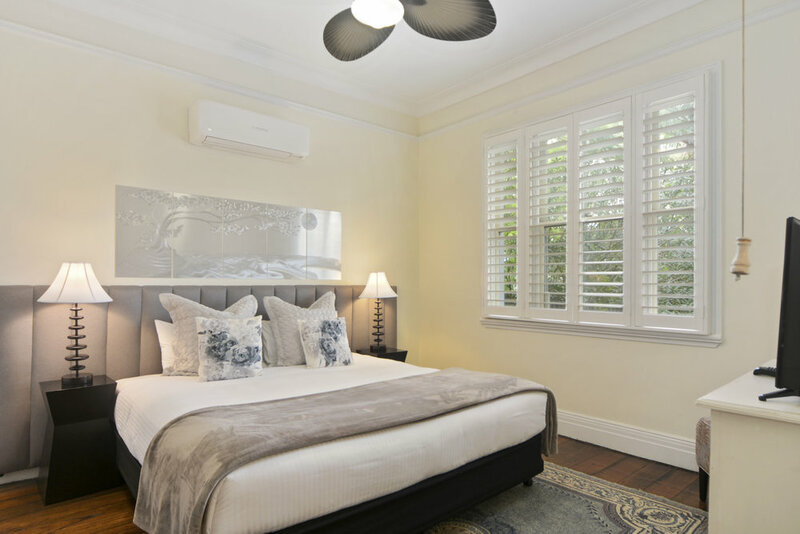 Adorned with white plantation shutters a high ceiling and original floor boards, it is truly a Victorian feel with those today touches. We are excited to introduce this room’s new look! This is our most spacious room with an abundance of natural light. 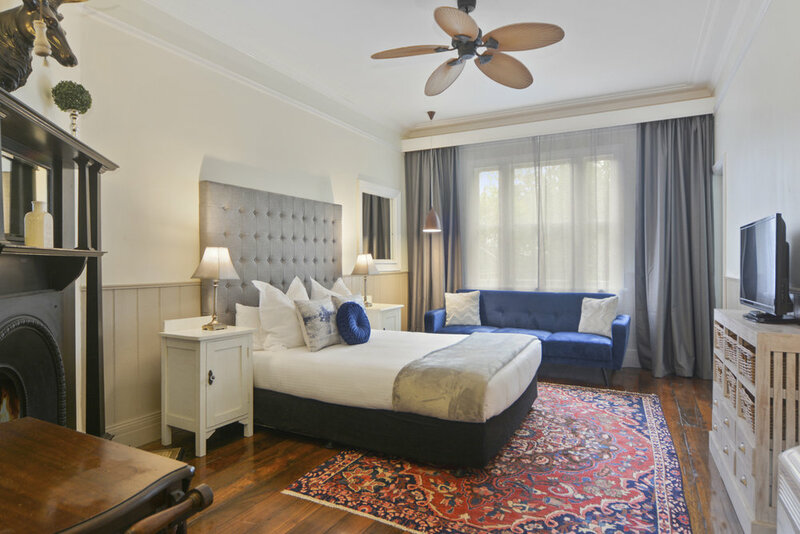 We wanted to get a modern classic feel with the new grey and royal blue color scheme and emphasize the beautiful windows with the ceiling to floor curtains. The fireplace also got a facelift going all black retro. 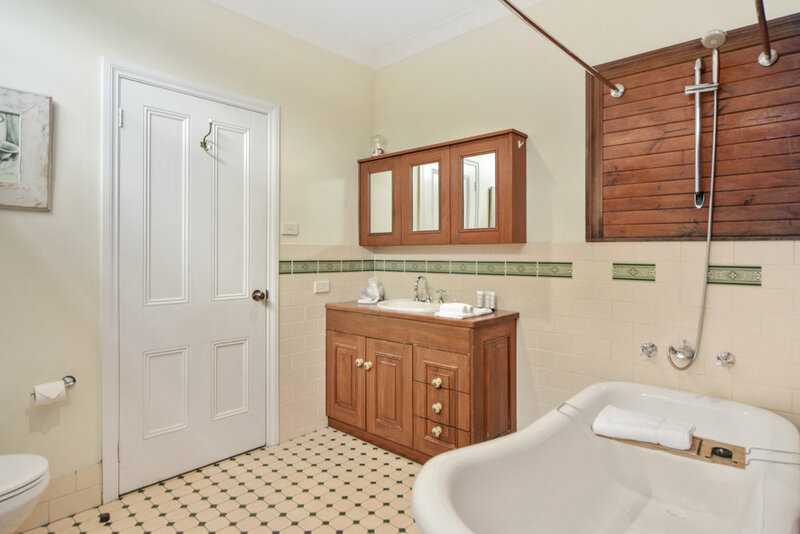 The Victorian bathtub is the heritage feature loved by guests who really want that relaxing bath! This room has a new look that incorporates a rustic modern feel that also has the more modern bathroom. It’s a cozy queen adorned with an original fireplace and beautiful plantation shutters to let in maximum light. This private loft includes a Queen bed and Victorian bathroom. 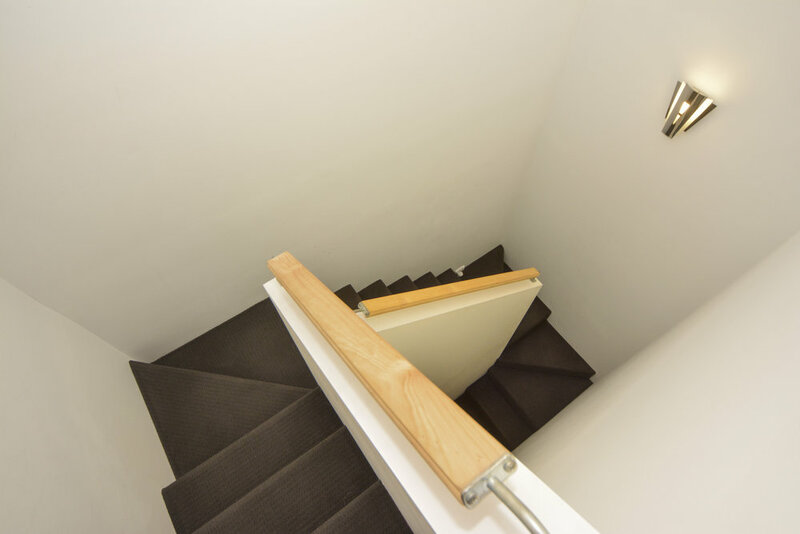 The entrance is from the hallway and opens up to a narrow staircase leading to the quiet top floor. Great for those who just need to be away from the noise. A self contained unit with a separate entrance that includes a queen bed, modern bathroom and kitchen equipped with simple cooking facilities. There is also a full-size fridge, pantry and large sink. 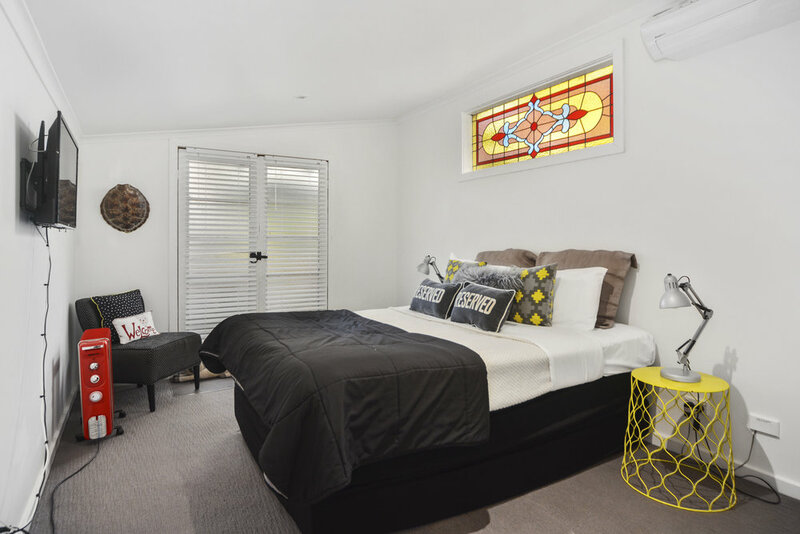 This is ideal for those that want a bit of privacy and home away from home.